They don't. Even subway stations are more inspired. Say what you will about the Brutalist headhouses built in the 1970s and 80s, at least they were trying. I'm not sure people will even know that these are real stations. Different rolling stock would really be nice. The diesel monsters the T operates on the commuter rail don't seem appropriate for an intra-city line with frequent stops and (hopefully) higher nearby residential densities. I would love to see some Stadler GTW's. Would these be appropriate? I'm digging that "River Line." Painted in full T regalia, we'd have a nice looking train there. In Ottawa, we have the O-Train. It was initiated a few years ago as a pilot project for an eventual light rail system in the city. Due to being reasonably popular and providing another link for students at Carleton University, the city has kept the train running. The O-Train uses Bombardier Talents that were built in Germany for Deutsche Bahn (the automated announcements speak in both English and French with a rather noticeable German accent). The trains run 8 km (5 mi) along a single track with a siding track at the middle station where they pass each other. This allows for headways of 15 minutes throughout the day. Granted, in Boston, the single track isn't an issue so these could be run a lot more frequently than 15 minutes, but I think the size of the train would be good in order to allow frequent trips so that it's convenient. Furthermore, maybe they could separate the tracks from the general tracks at South Station so one could make an online connection from the redline through a tunnel from the Red/Silver Line station and those boarding from the concourse level could go through a Charlie Card control before accessing the track. In my opinion, I think this would be ideal, but I imagine the safety requirements that ensure that we can't have European-style rolling stock on our commuter rails (and why our trains are so heavy, because they have to be reinforced) would apply here so these sort of hybrid, diesel/light rail trains would never be allowed. Due to track capacity at South Station, the fairmount line will run no faster than every 20 minutes. The pictures in this thread include lines running in north america. Yeah, I wouldn't think that you would need much more than that. Though it's kind of too bad that the possibility for more frequent service can't exist. Would this change if the redevelopment of the post office ever happens and SS is able to expand? reluctant to allocate all reserve terminal capacity to the Fairmount line. In deference to this concern, no peak headways shorter than 20-minutes were considered in this study." Attleboro/Stoughton, Framingham/Worcester and Needham lines. Service to Fall River/New Bedford and other services in the planning and evaluation stage were not assumed to be in operation." So basically, it isn't happening any time soon, so who knows. ^ Why is Boston constantly defeated by uncontrollable Conditions of the Universe? From the Dorchester Reporter. Ugh. Transportation officials faced angry neighborhood residents last week in a pair of contentious meetings about the Fairmount commuter rail line, including one session that ended with a state lawmaker abruptly leaving the room. ?I?m losing faith in the Department of Transportation,? state Sen. Jack Hart (D-South Boston) told the Reporter after the meeting. Some Mattapan residents have been pressing for the re-location of a commuter rail station proposed for a site near Woodhaven St. They argue the station, which would be located between Blue Hill Avenue and Cummins Highway, would affect the property values of their homes as well as other ?quality of life? issues. The meeting prompted the general manager of the MBTA to send out a letter this week to residents of Woodhaven and Regis Streets asking to meet with them again. General manager Richard Davey said he would be willing to hold the meeting in one of their homes. ?I want to be clear that it was not the intent of the MBTA to have residents feel they have been ignored and concerns not addressed,? Davey wrote in the Wednesday letter. ?I would like to discuss ways that we may work together now and in the future to address your concerns.? The Blue Hill Avenue station, which would be part of the Fairmount line, is one of four new stops being added to the line that runs between Readville and South Station. By court mandate, all the new stations, located in Dorchester and Mattapan, must be functional by December 2011. 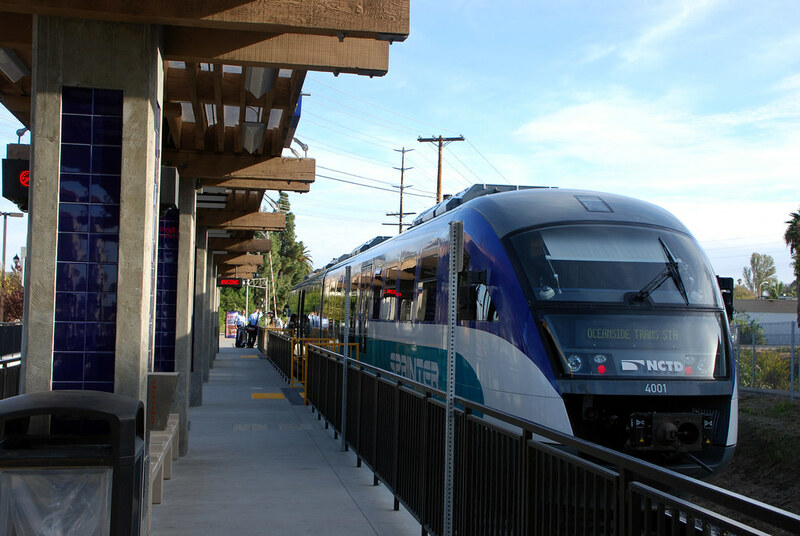 At a separate meeting, neighborhood residents pressed transportation officials to ensure that the contractor working on the Four Corners commuter rail station, located at Washington Street and Geneva Avenue, is hiring women and minorities from within the community. Hart said Gov. Deval Patrick?s transportation chief, Jeff Mullan, had promised that no final decision would be made on the siting of the Blue Hill Avenue stop until Mullan had a chance to personally speak with neighborhood residents. Mullan was unable to attend last week?s meeting, held Tuesday night at the Mattapan Public Library, because he was focused on a fierce rainstorm?s effects on the state?s roads and bridges, aides and lawmakers said. But during last week?s meeting, other transportation officials said that a letter had recently been sent out to a neighborhood group focused on the Fairmount line which could be interpreted as saying that a final decision had been made. The admission prompted Hart to walk out. ?I said there?s no need for me to be sitting there,? Hart told the Reporter. ?Because I no longer have faith in this process.? Davey, who attended the meeting, said there had been a ?little bit of a miscommunication.? ?We have not made a final decision,? he said. ?We?re trying to balance everybody?s interests.? He added that there were also individuals in attendance at the meeting who support the proposed site for the station. As for the letter that led to Hart?s walkout, Davey said, ?One could read it to say a decision has been made,? despite that not being the case. Davey added that the MBTA is able to conduct a pre-construction inspection, if permitted, of the homes abutting the site of the proposed station. ?The inspection will allow us to impose upon the construction contractor the financial responsibility for any issues that may occur because of the proposed station construction,? he said in his letter to abutters. The Department of Transportation and MBTA are overseeing the construction of the Fairmount line and the 800-foot platform at the Blue Hill Avenue station, which could spur economic development in Mattapan Square. A DOT spokesman told the Reporter in February that the MBTA had analyzed the possibility of other stops and found that other alternatives were not feasible. ?It?s a beautiful residential area that will be impacted,? Hart said of the Woodhaven St. area. ?We need to find some alternative.? He added: ?I understand the larger picture of having a number of stops on the Fairmount Line in order to access the train. But the fact remains that the T still hasn?t resolved it to the satisfaction of the neighborhood residents.? Fireworks were not limited to the Blue Hill Avenue station. At the meeting at the Codman Square Tech Center on the Four Corners station, neighborhood residents, in urging the contractor to hire more women and minorities, berated company head Stephen Early, who was in the room. ?People of color are in the majority in this community,? said City Councillor Charles Yancey as Early and other workers from S&R Construction Company looked on. ?We cannot let the contractor off the hook. The process in place right now is not good enough.? Early pledged to hire more women and minorities, taking business cards from local business owners in the crowd and shaking Yancey?s hand at the end of the meeting. ?We want to do the right thing,? he said. ?We want to hire people from the neighborhood.? He noted that he has already hired several people of color, and added that the construction work, expected to take two and a half years, will not need many jobs. ?It?s not like there?s a hundred or fifty jobs [available],? he said. The MBTA?s Office of Diversity and Civil Rights is charged with monitoring whether workers on a project are 30 percent minority and 7 percent female. Wanda Hubbard, ODCR?s government compliance officer, said if the company doesn?t meet those goals, the MBTA can stop payment for the project, terminate the contract, or bar them from working on another MBTA contract. She said S&R has agreed to use local businesses for materials and supplies, such as Dorchester Tire. Construction on the Four Corners station begins this month. The project plan calls for an 800-foot long platform that will include a steel canopy, benches, a train approach warning system, and lighting. ?I think we made progress,? said Pamela Bush, a lead organizer with the Greater Four Corners Action Coalition, which has been pressing for the station to get built. ?I believe the T understands that Four Corners is a force to be reckoned with, that it?s time for a change and it has to happen right now.? This is not a well-written article, as it does not go into any detail about how the station construction will damage neighboring properties. It's from the Dot Reporter, what do you expect; they care more about the PEOPLE than about facts. I don't understand the distinction you're trying to make. Well I mean they aren't trying to present a balanced view of the problem, they are more interested in the drama of the politician and the people vs. the gov't! The MBTA?s Office of Diversity and Civil Rights is charged with monitoring whether workers on a project are 30 percent minority and 7 percent female. These are quotas, right? How do they come up with the percentages? If it were based on demographics, wouldn't it be 51% female? = to % of female workers in the construction industry? In which case it shouldn't be too much of a burden. BOSTON - Friday, July 16, 2010 - As part of the Patrick-Murray Administration's commitment to strengthening public transit and rail service, Massachusetts Department of Transportation Secretary and CEO Jeffrey Mullan joined state and local officials to announce the groundbreaking for the $17.7 million Four Corners/Geneva Commuter Rail station project. As part of the Fairmount Commuter Rail Line Rehabilitation Project, the Four Corners/Geneva station is one of four new commuter rail stations to be built along the corridor. "The Fairmount Corridor is a vital transit link between Boston and its surrounding neighborhoods that has long awaited improvement," said Governor Deval Patrick. "This investment will not only provide residents with new transit options, but will also bring opportunities for economic growth to nearby communities." "The Patrick-Murray administration understands the importance of reliable public transportation options for communities across the Commonwealth," said Lieutenant Governor Timothy Murray. "This groundbreaking is a pivotal step forward as we redevelop the Fairmount Corridor and deliver more commuter rail options for Boston and its surrounding communities." "This new station will provide both neighborhood residents and others with the opportunity to use commuter rail as a quick and efficient option for traveling into downtown Boston," said Mayor Thomas M. Menino. "People will now have another way of visiting the multitude of restaurants, retail establishments and other businesses located in both Four Corners and downtown. I am pleased to have had the opportunity to work with the MBTA on the development of this project and I am looking forward to joining the Dorchester community to mark its completion." ?Today?s groundbreaking is an important step toward providing equitable transit to the Four Corners/Geneva neighborhood,? said Congressman Mike Capuano. ?I am pleased that the Massachusetts Department of Transportation is moving forward today on this project, and I look forward to similar progress along the rest of the Fairmount Line.? Work on the Four Corners/Geneva station will include the construction of brand new high-level platforms with detectable warning strips, new canopies, access ramps, passenger shelters, electronic message signs and pedestrian-friendly walkways. "Construction of a brand new commuter rail station in Dorchester represents an historic milestone in the Patrick-Murray Administration's commitment to increasing transit options for commuters most in need of public transit service," said MassDOT Transportation Secretary and CEO Jeffrey Mullan. "With the Administration's support rehabilitation to the Fairmount corridor continues to move forward ultimately bringing the neighborhoods of Boston more convenient service and an improved quality of life," said MBTA General Manager Richard A. Davey. Amenities at the new station will include closed circuit television (CCTV) video surveillance cameras, police emergency call box systems, public telephones and an off street drop-off/pick-up area at both the Washington Street and Geneva Avenue entrances. The project is expected to be completed in 2012. With an investment of $37 million in state funds, Phase I of the project is complete including the rehabilitation of Upham's Corner and Morton stations; the reconstruction of three bridges; the implementation of new interlocking; and the de-leading and painting of neighborhood bridges. Phase II consists of the design and construction of four brand new stations at Talbot Avenue, Blue Hill Avenue, Newmarket, and Four Corners/Geneva, presently underway. 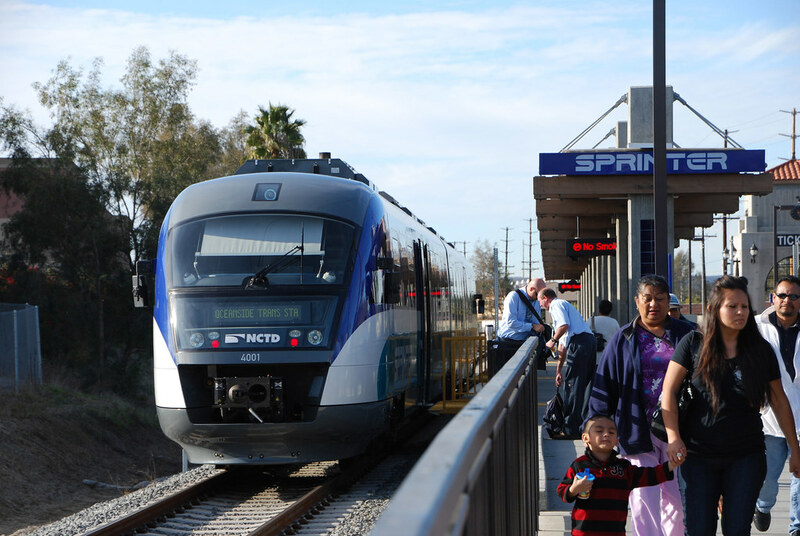 "A long time coming, this new T Station will provide much needed transportation access and an economic boon to the Greater Four Corners Neighborhood," said Senator Jack Hart. "I am proud to be a part of this effort with those who have fought for years to make this happen. Congratulations." "Because of the greater Four Corners community working together, they've proven that almost anything can be accomplished,? said Representative Liz Malia. "This seemed like an impossible dream a few years ago, and now the residents of this community will have improved access to quality transportation and the potential for greater economic development.? State Representative Dorcena Forry said, "Congratulations on the ground-breaking of another commuter rail station in one of Dorchester's neighborhoods! The expansion of service along the Fairmount Line means greater access to affordable and efficient, high-quality transportation. As such, I am pleased to see the opening of the new Four Corners/Geneva Avenue station, which stands as a testament to the Patrick Administrations' continued commitment to enhancing services and keeping our city connected." "This new station will greatly improve access for those communities that have been left on the sideline, watching trains pass by for far too long," said Charles Yancey, who represents District Four in Dorchester and Mattapan. "What a wonderful day for Dorchester," said Boston City Councilor Maureen Feeney. "Increased access means increased opportunity for all." I remember back in the community outreach phase someone (a resident) brought up the fact that the Fairmont Line wasn't on the T's subway map (to which puzzled MBTA representatives replied, "It is"). If the "Silver Line" bus qualifies as a subway line then the Fairmont Line needs to be represented as a full rapid transit line (neither of which truly are). It's psychology, not numbers. I always feel like there are too many engineers running the MBTA, not enough psych majors. So much could be done if they responded to how people think and not to the numbers (though I don't want to discount the importance of statistics, just the supreme reliance on them). "The MBTA?s Office of Diversity and Civil Rights is charged with monitoring whether workers on a project are 30 percent minority and 7 percent female." If this is anything like the BRA and BRJP monitored projects than this is a goal and not a quota, probably with a "best faith effort" clause in there somewhere although I may be wrong. Just as an fyi BRA and BRJP projects are monitored in terms of work-hours done on the project and not based on the number of people actually working the project. As such population/demographic size doesn't really matter as long as the work-hours for the project reflect 30% and 7% of the total construction hours. What you can actually see when you look at the breakdown of BRA and BRJP monitored projects is that while there are usually far less residents/minorities/females working on projects, each individual ends up working as much as twice as many work hours on projects in order to attempt to meet the BRJP goals. In any case I'm not sure how the MBTA is going to go about constructing the stations. I was under the impression that the MBTA does most of its construction internally and doesn't contract out. In that case meeting the goals should be much easier as the MBTA is directly in charge of hiring and is direct control of the workforce on the project. No, any reasonably large job (>$1M or so) goes out to public bidding.